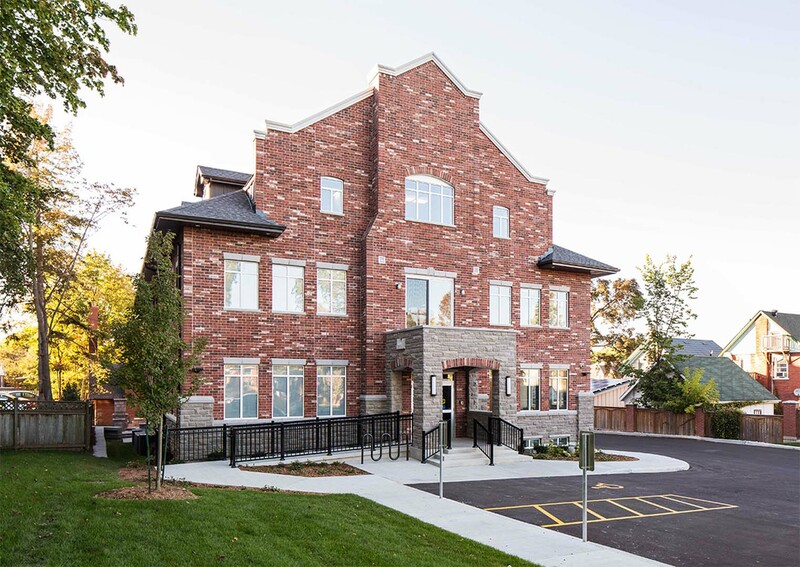 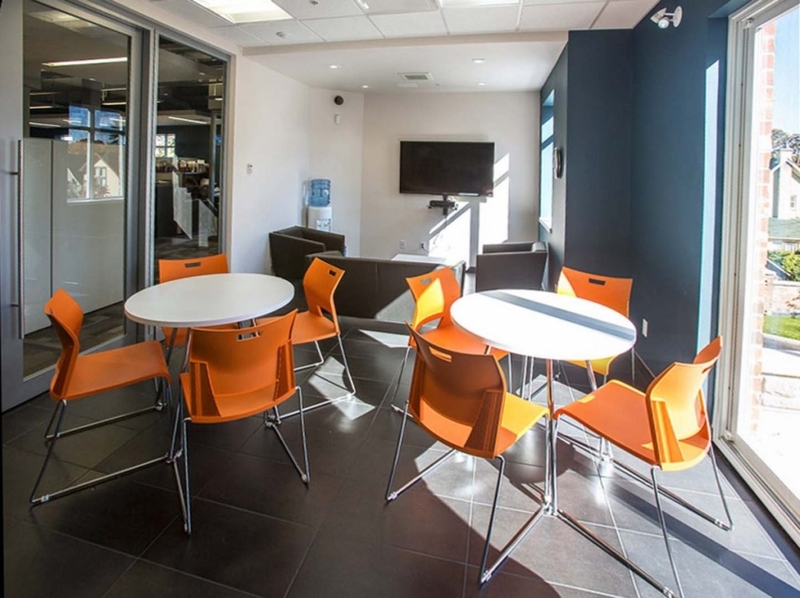 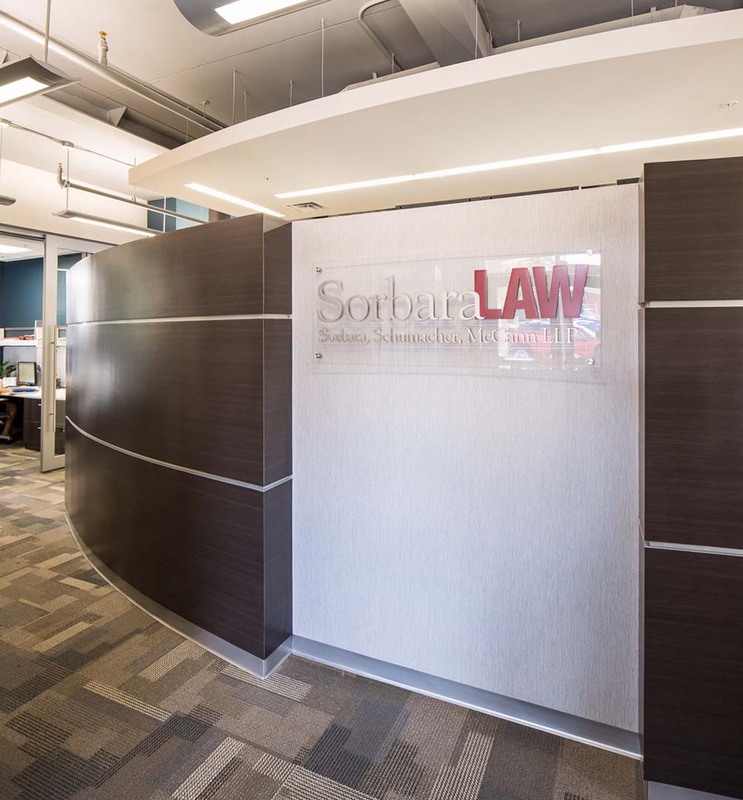 Situated amongst one of Waterloo’s original neighbourhoods and nestled amongst historic century homes, lays the offices of Sorbara Law. 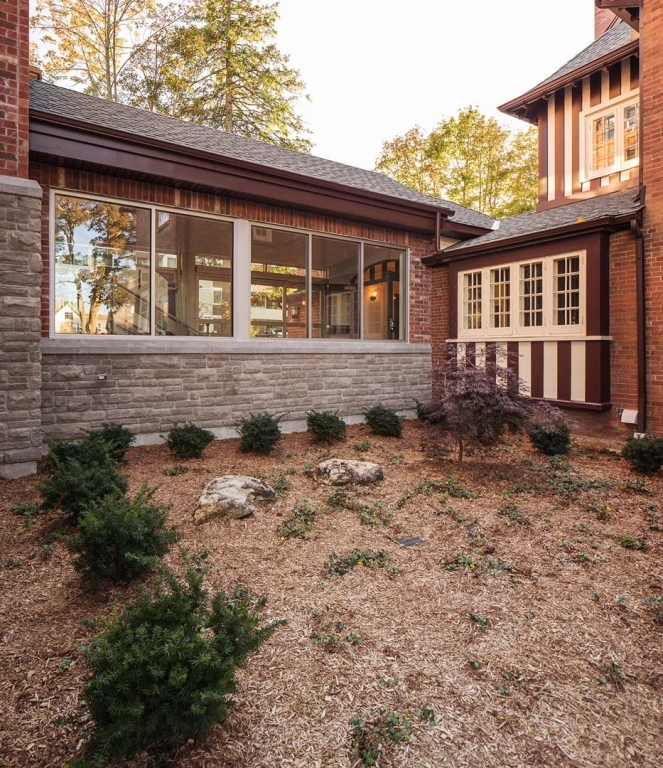 Built in 1913, the original home itself symbolizes a monumental structure to the region as it was home to two of Waterloo’s best known families: the Seagram and Bauer households. 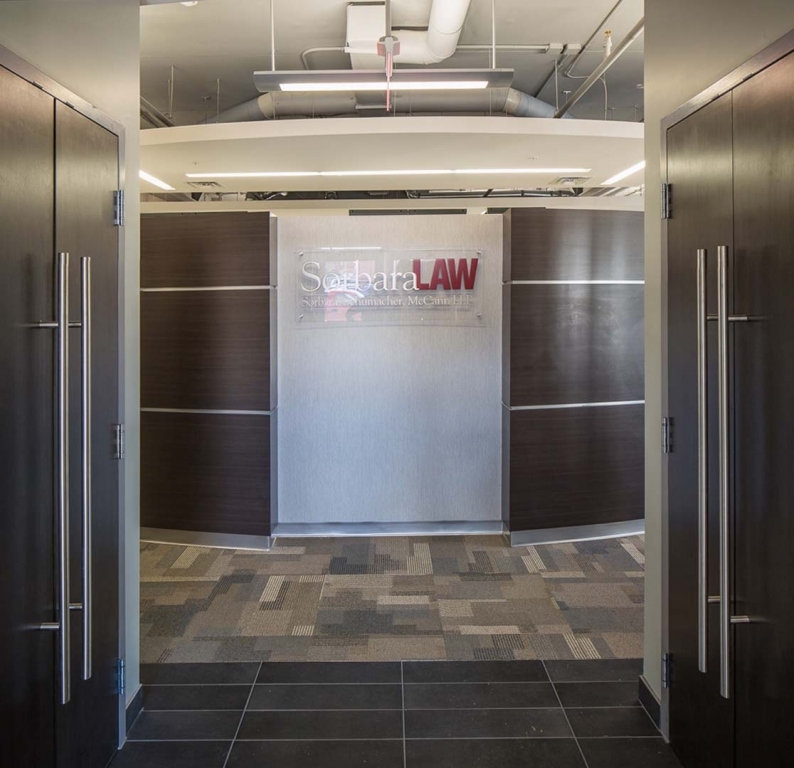 The original blue prints, now on display amongst the walls of the firm, were obtained and used as templates to keep the new design consistent with the original. 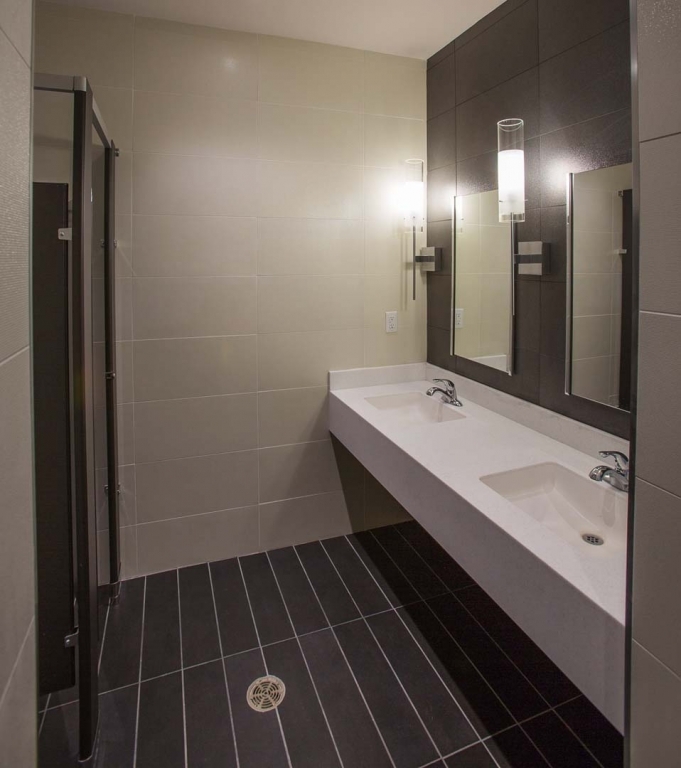 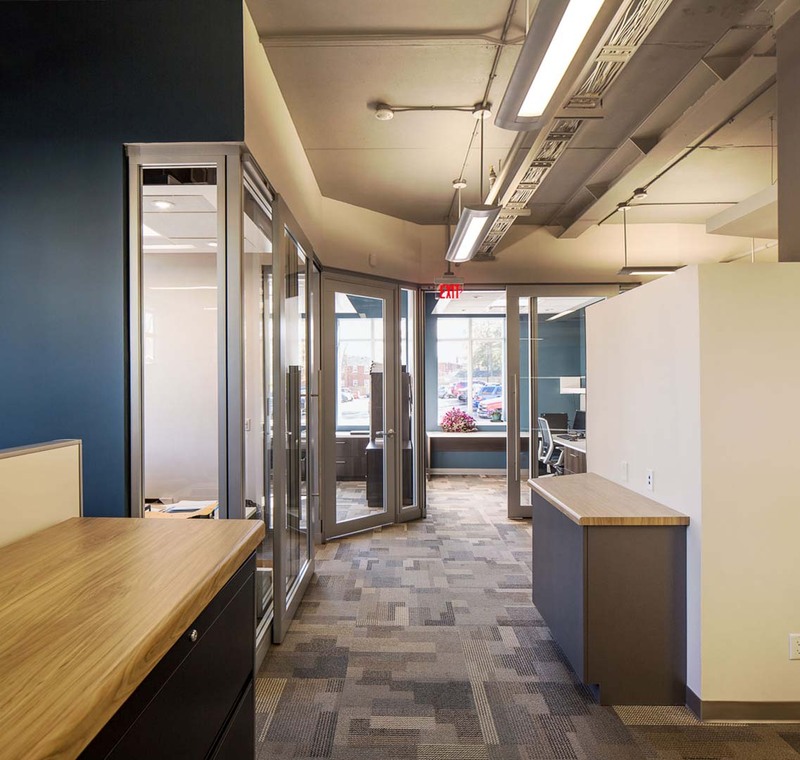 The project team also utilized some of the main original features such as dark wood paneling and exposed beams throughout the 27,340 SF additions design. 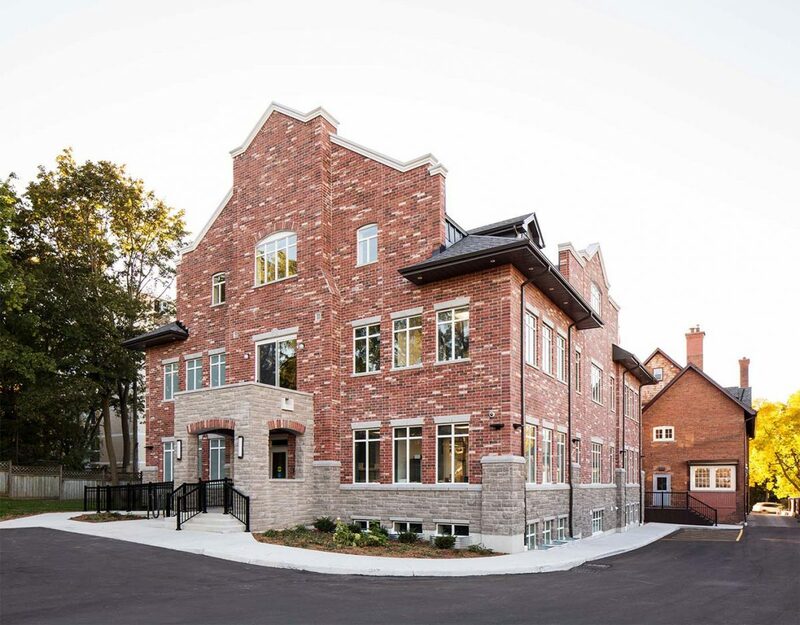 The intentions of the design team were to create a visually stunning building addition while maintaining the manor’s historic appearance. Over 8,800SF of masonry work went into sheathing the structural steel frames, in both original red brick and new modern manufactured stone shades. 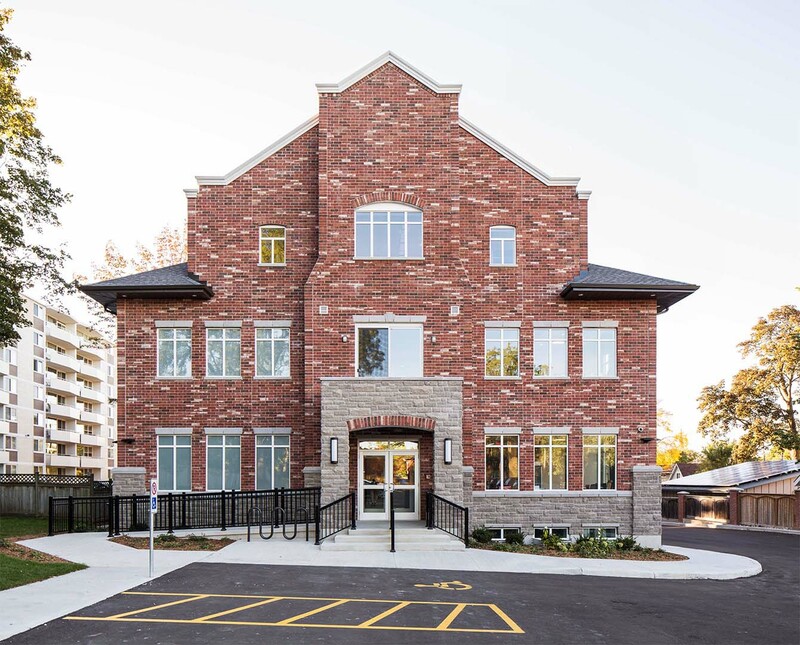 A total of 1600 SF of natural sunlight illuminates through all aspects of the building with the installment of over 77 new spacious windows. 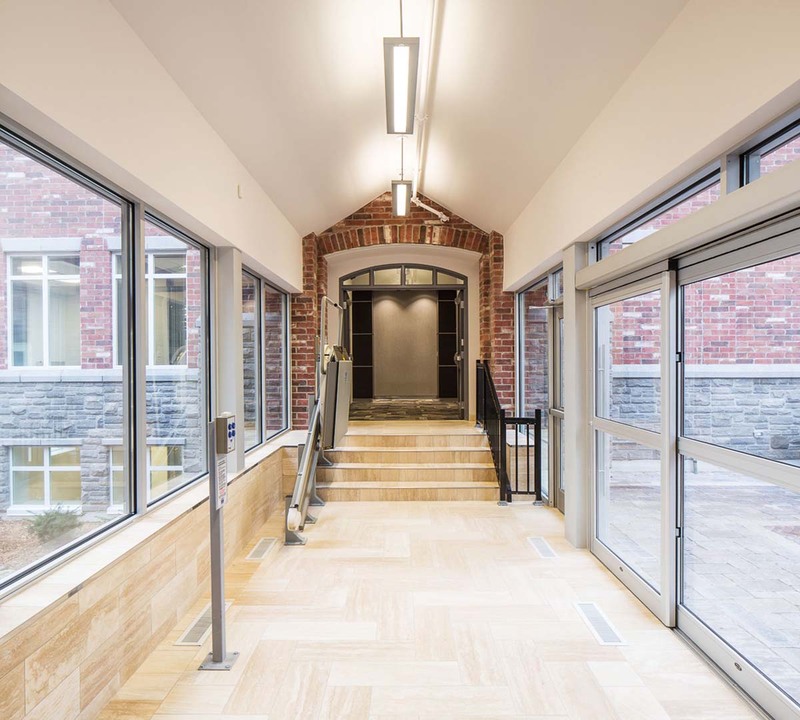 A new impressive glass enclosed walkway was fashioned to connect the main office building with the additional 3 storey space. Encased in red brick and manufactured stone elements matching the original building, the open concept breezeway is not only visually appealing but offers a panoramic view of the elegant courtyards. 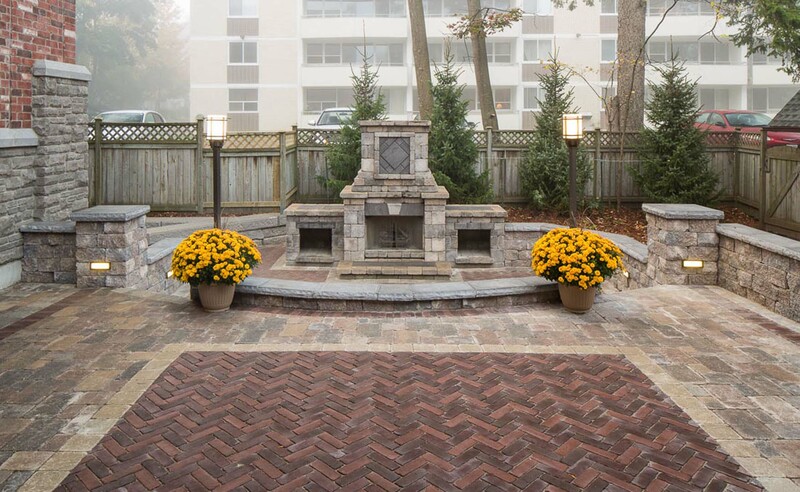 One of the stand-out features of the addition is the new outdoor stone patio complete with immense gas fire place enclosed in enhancing stone features and seating area. 31 Union Street East Inc.